Do Medical Aids Cover Superbug Treatment? Hospitals all over the world are experiencing the scourge of superbugs. These are germs which resist normal antibiotic treatment. Superbugs that are prevalent in South Africa include Klebsiella, P.aeruginos and some strains of E.coli superbug. Where do superbugs come from? Research shows that these germs developed as a result of the misuse of antibiotics. Patients who receive treatment at a hospital may inadvertently find themselves infected with a superbug. In some cases the bacteria is extremely difficult to eliminate from the body. And victims need ongoing treatment to counter the effects of its presence and rid the patient of the bacteria. The question is as follows. 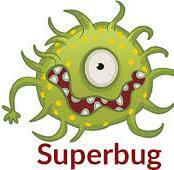 If you pick up a superbug at a hospital, will your medical aid pay for the treatment of superbug infection? At the moment this is a grey area. Certainly, the treatment of infection as a result of antibiotic resistant bacteria is not included in the Prescribed Minimum Benefits (PMBs) that medical aids must cover by law. Neither is superbug treatment expressly excluded from cover in most medical scheme policies. In reality, you enter a hospital in accordance with the regulations of your medical aid. So the medical aid can hardly hold you, the patient, liable for the infection. They can, however, hold the hospital responsible for the infection. This is, naturally, a claim that hospitals dispute as no hospital is willing to accept that it is responsible for the existence of superbugs. The hospitals argue that their existence is not directly due to the shortcomings in hospital management. In a recent dispute that arose between Discovery and a hospital regarding the payment for treatment of a patient who picked up a superbug at the hospital, the medical scheme and the hospital group ultimately agreed to share the costs of treating the patient for the superbug. There are also a number of similar disputes now under way in the courts between medical aid members and their medical schemes. The problem, however, is far from gone. Professor Mark Nicol, the chairman of the SA Society for Clinical Microbiology, says there is no accurate picture of the occurrence of super bug infections in SA hospitals as the country lacks the required surveillance. He adds that it is difficult to eradicate these organisms as they are carried in people’s intestines. Prof Nicol says that several bacteria that are resistant to several drugs are now endemic to South African hospitals and that if super bugs that are entirely resistant to drugs were also became endemic to hospitals, the healthcare system would face a crisis. So what should you do? The first point is that unless you have a medical aid you will find it very hard, if not impossible, to get compensation from a hospital if you pick up a superbug. The first essential, therefore, is to belong to a good medical scheme. Obviously you should keep your hospital visits to a minimum. And should you pick up a superbug, insist on compensation because it is unlikely it is your fault that you incurred it. No one willingly picks up a superbug!